The Samsung Digital Health Challenge is an ongoing opportunity to access a pool of $50 million in investments from the Samsung Catalyst Fund. The goal of the Challenge is to stimulate innovation surrounding the delivery of wellness-related insight through the use of highly accurate, non-invasive sensors working in conjunction with advanced algorithms. SSIC here. Much of this appears to be direct-to-consumer technology for the already engaged patient to become even more engaged in optimal health, at least at the moment. What Ram Fish, Samsung’s VP of Digital Health, envisions according to a short video on their site (see Simband Open Reference Model), is unlimited capability of their open Simband platform–where anyone can create sensors that talk to a larger system. All of this further reinforces the SXSW health focus on wearable technology earlier this year (see Top 10 Takeaways from SXSW 2014: Part One). The following short marketing video gives a quick glimpse into Samsung’s Voice of the Body. As an avid Apple fan, I can’t help but be intrigued, even in light of my failed user-experience with the Samsung S4 phone. David Kern, in his book entitled Curriculum Development for Medical Education: A Six-Step Approach, said, “The ultimate purpose of a curriculum in medical education is to address problems that affect the health of the public.” I think we can all agree patient safety is a public health problem, however, medical and nursing schools have been slow to change in the face of this crisis, and instead, remain mired in a very traditional 1980’s curricular model. I can’t help but think of Einstein’s mantra…“insanity is doing the same thing over and over, yet expecting a different result”. The purpose of the Foundation is to support patient safety education for health care professionals in training and in practice, patient safety research with clinically useful applications, and medical professional liability research. TDCF has also been a long-time supporter of the Telluride Patient Safety Summer Camps for health science students. Over the last four years, through their generous support, close to 200 health science students will have attended one of our week-long patient safety summer camps. Student summer camp reflections and experiences have been shared on the ETY blog through the years, as well as the Telluride Sumer Camp blog. Because of our past success, and the willingness of The Doctors Company and its Foundation’s mission to make care safer for our patients, we are excited to announce that the Telluride Patient Safety Summer Camp will now offer three one-week student summer camps in 2015–with our newest patient safety camp being held in California (“Telluride West”). Ninety health science students from across the country will now be able to attend one of the three, one-week patent safety summer camps being held in Colorado, Washington DC and California. Leaders and visionaries from The Doctors Company and its Foundation, such as Richard Anderson, David Troxel, Leona Siadek-Rice and TDCF board members, believe in the Educate the Young premise, and back it up through their generous and continued support of our Telluride Patient Safety Summer Camp mission. 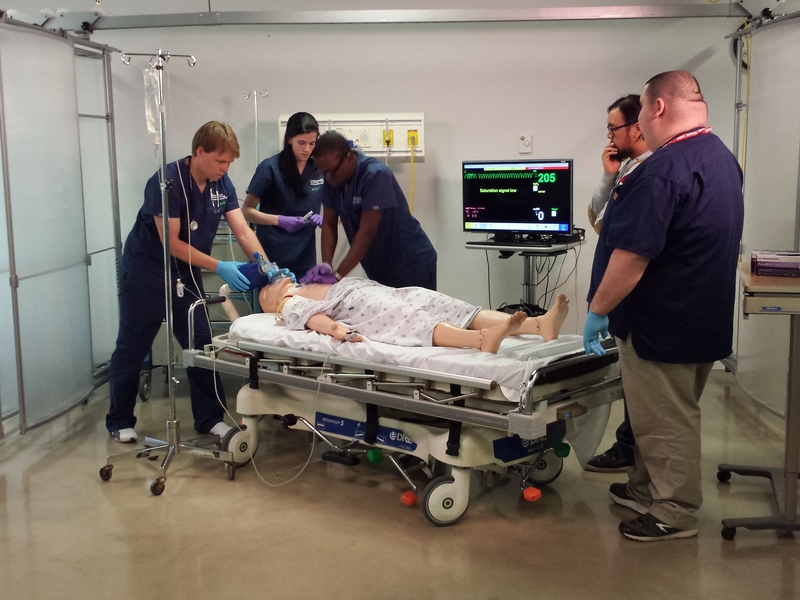 Combined with the two weeks of Patient Safety Summer Camps for Resident Physicians supported by COPIC, CIR and MedStar Health, there will now be five weeks of patient safety summer camps offered each year. That makes over 150 of our future health care leaders immersed in patient safety and transparency education led by international leaders in patient safety. I think even Einstein would be happy…. 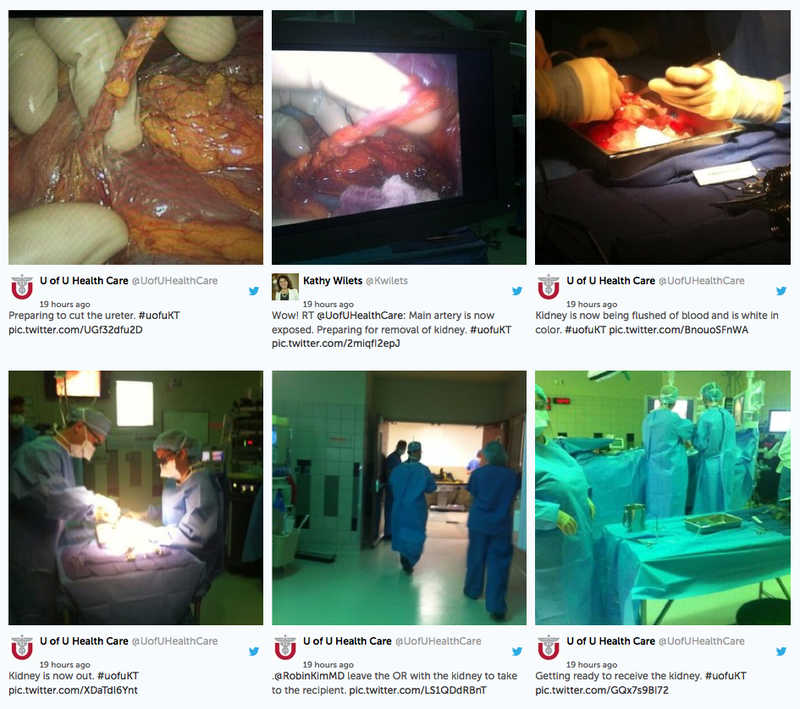 University of Utah Health Care (@UofUHealthCare) pushed the healthcare social media agenda forward yesterday, as well as heightened the bar for transparency in healthcare, as they “live tweeted” a kidney transplant. Not only were they tweeting progress of the surgery, they were posting photos and interacting with the media to answer questions. The team also engaged their patients in this process, even posting photos of the donor in recovery. While I have seen surgeries tweeted in the past, I have not seen anything on this scale, or so inclusive of every person — patient and provider — during the actual delivery of care in such a high-stakes surgery. Kudos to them! Below is a screen shot of a story aggregated on Storify captured before, during and after the event (click here for full version), but for those interested in, or leading healthcare social media, I highly recommend seeking out @UofUHealthCare’s twitter feed from May 20th, 2014. 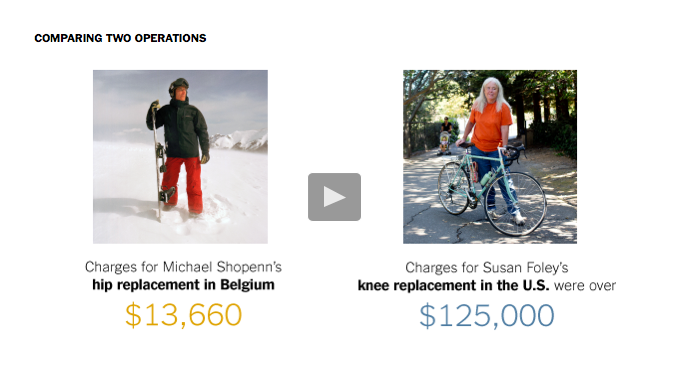 It provides a textbook lesson in new media and healthcare transparency! Please welcome our latest guest blogger, Sherri Loeb. Sherri is a nurse of 30 years and the wife of Jerod Loeb, Vice President for Healthcare Quality Evaluation at Joint Commission, who she, and the entire patient safety community, lost to prostate cancer last year (see Experiencing Both Sides of the Quality and Safety Chasm…) . Since losing Jerod, Sherri’s passion for patient centered care has only gathered more urgency, as she works to share their story and her nursing experience in a way that inspires change. She is also a member of the MedStar Health Patient and Family Advisory Council for Quality and Safety, as well as a member of the National Quality Forum steering committee for person- and family-centered care. Following is an excerpt from a recent blog post she wrote for HospitalImpact.org, What it takes to navigate healthcare: Engagement, compassion. Patient engagement, patient-centered care, shared decision-making, patient experience and centers of excellence–all the latest buzzwords in healthcare. But do our industry leaders really understand what they mean or how to implement them, and how critical they are not only to the patient and family, but also to the ultimate goal of patient safety? From my recent experience I would say it’s rare. To read the rest of Sherri’s post, please click here.